It is available on GitHub with even an ebuild to be put on an overlay to install it. It works in command line interface with interactive menus to be easy to use with no parameters added to it as them are usually forgotten by users. Also, it will be configured to use a folder you specify, so if you don't try a vital folder, it is 100% safe to use it, as it will not write to anything outside specified folder. Currently, it is beta, so it could have some bugs, depite I've tested it and seem to work, for feedback, write to stormbyte at gmail dot com email address and I wil try to help. Hope this is useful for gentoo advanced users. Every mention, accusation or potential offensive words direct or indirect have the word allegedly implied. First of all, a little explanation of why I think I started to receive the attacks. 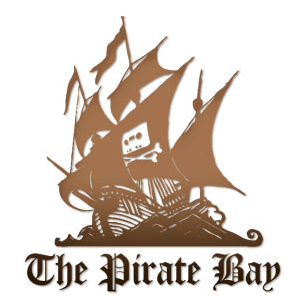 For the very first time, I used The Pirate Bay to download a film contained in one of their torrents. Also, I have a small server inside my home network, which is accesible to outside but shares my home internet bandwidth. I am running 5 years this personal server, and never received a massive DNS DDoS. Only received some SSH brute force login attempts which are successfull banned via fail2ban. ACTA rejected by European Parliament (where I live), making them fail. I don't believe in coincidences, but specially in these cases, where it would be too much coincidence, so I make my guess (accusation): Hollywood, and their friends are trying to stop/reduce torrent usage via other methods: Disturbing, attacking, and flooding torrent users, but of course from behind, by using botnets, infected small servers, etc without showing their faces. Currently, fail2ban have a issue flooding sendmail and preventing further actions when sendmail does not respond due to upload bandwidth consumption or some other cause. This way, I made a simple sendmail-buffered.conf for fail2ban which will only send mails when X IPs are already banned. Also, even with this enabled, fail2ban was unable to completelly stopping the attack, since it only blocked named default port (53), and somehow, some packets were still reaching me. So I modifyed default iptables-all.conf too. To configure fail2ban properly, I created new rules and actions, based on current existing ones, but tuned to prevent this attack more efectivelly. Once done that, just configure your jail.conf properly to use new rules. Please note that, with these protections you will not stop the attack, since IP packets are still reaching your server, however, your upload bandwidth and your nameserver will be secured. I have blogged several times about the benefits of programming with prepared statements when using database connections (About prepared statements, MySQL's prepared statements made easy, About SQL Injection). But this time, I will focus on development time, and another advantages that using prepared statements give to programmers rather than its security or performance (for that you can read the other blog posts stated above). As I stated in other posts, I recommend everyone who uses a database, to make use of Prepared Statements everywhere, not only in certain parts where you are interested. That way, combined with Model View Controller design (MVC), can save you a lot of time and problems when database scheme changes over time (and make sure it will despite you may not think). To reflect the time you can save when that happens with Prepared Statements, let's start with a very simple example and watch how it could be solved from 2 different points of view: Using prepared statements, and not using them. Having this table amongst others, and in a running company with plenty of data inside, now, some time after the initial database schema, we decide to switch to paypal payments processing (just an example). In this case, having credit card info of our clients is not longer relevant, and should be deleted due to security issues. Unfortunatelly, we are not done yet, as we need to change some parts. Now that we have changed database scheme, the changes that are need to be made in source code are very easy to find. If we used something like the database class I blogged here, we just need to open the browser and wait for the errors it will come out, since all SQL sentences are prepared and loaded with database initialization. It will tell us exactly which prepared statement failed, and just a seach will show in which function member we are using it, allowing us to change it. Once changed, you just have to be sure to change the model class which receives that old data to remove it. In this scenario, the changes that needs to be done are not easy to find as we don't have any mechanism to look at every SQL sentence we have in the whole program at once. So we should to do a seach on every project's file, and do as much as replacements we need in order to achieve the changes, and thus, more time programming which may mean more money. So to sum up, I will render a table containing most important things about each others to reflect why is so important to use Prepared Statements rather than SQL statements as strings defined at runtime. So now you know that programming with prepared statements does not only protects us from SQL Injection, give us more performance, prevents from having dangerous runtime errors that may harm our public image to our customers and makes us save tons of time when things changes, why are you still not using them in your whole project? The idea of counting the number of matches in a field that a regexp has, is a very intesting method to sort sets, for example, a web search result set, when you need the most relevant sources first (for example, containing the searched word more times). I researched a bit and unfortunatelly, MySQL is far behind PostgreSQL, despite the fact that Oracle bought it (yes, at first I though it could improve a lot with Oracle's experience, but reality is that Oracle is not going to put another free competitor against its own), so I will write this howto for PostgreSQL with an example. PostgreSQL has a very clever function regexp_matches that will show all substrings which matches a pattern and we will use that to count matches and sort result. That will result in a set like Expected result in previous table. But, that was only an example!! How about a real usage? With a little modification of previous sentence, it could be applied to sort a real search query, just substitute bold text with your pattern and your subquery/data set. Of course, it can be combined with prepared statements, stored procedures, and so on! The hardest part is done, so just use your imagination! What can you do against SGAE, MPAA, RIAA, GEMA and those ones? It is known for everybody what actions are those organizations doing world wide: declaring you are a criminal because you watch/download material, applying censorship to internet, adding fees to buy media in some countries just because you could use it for criminal purposes and those things. Specially, I am referring to megaupload case: They closed megaupload with no proofs, and they are suing as much people as they can, just by giving their IPs, with the only argument that they are causing lots of revenue loss to multimedia market. Well, the first thing I will say publicly is: A people wich download some material is not a buy loss as they argue. Like me, for example, I don't, and will not buy everything I hear, see, watch online. So just the fact I download does not mean that I would buy it. It is just false: I will not buy it anyway! So what's the real loss for them? Their fail is that time had change, now we are in 2012 year, not in 1950, and they simply refuse to change their business model. It is like if dinosaurs try to sue meteors that ended them..just a nonsense. But, the real matter is: What can YOU do against it? It is pretty simple, and this is what I do. I declare it publicly and if you are Sony, Emi, SGAE, GEMA, RIAA, MPAA, Hollywood have some problem with my declarations, then go and come with me, I will tell you this again at the face! So, what can be done to force those agencies/companies to realize we are just fed up to be treated like criminals? Very simple: Do not go to theaters, do not buy original music CDs, do not buy films. Not just a month, not do it never until they change their paths. I usually have this conversation with people, and they often say things like: a person can't do anything against them, and so on, this is simply a false argument. If you cause a real loss of revenue to them, they will realize they are alive thanks to us, which are their customers, and they will learn how to treat their potential customers, rather than mark everybody as a criminal, and the stuff they do. And publicly I say: I encourage everybody to pirate copyrighted materials always. Let's show them what a real loss of revenue can mean! Memcached is a tool (with PHP extensions) for storing key-value pairs of data in RAM and it is used for boost applications where persistent storage is needed and fetching data from datasource (file, database, internet...) is more expensive than fetching from RAM (from performance point of view). Despite its advantages and the fact that by using it your application loads data much faster when it is in cache, it lacks any kind of keyword data removal nor any other capability to do so. It may not sound as a real problem, that can be a real problem making your application return invalid data in some scenarios. Here I will provide some scenarios where memcached can lead to problems and will post some approaches to resolve this limitation. We have pagination in our system, and keep that pagination in cache for better performance. When deleting, inserting or altering new data, that pagination becomes obsolete, and may be already cached without the posibility of deleting it because, for example, we don't have pagination cache's key id from the function that adds, deletes, or alters its data. The idea behind that (in which my work is based) is to emulate namespaces by adding some keys with version, are the official pseudo-namespace proposal, which allows to workarround invalid data returning by emulating namespaces and appending a version to the key. This way, if you have foo stored in cache, you update namespace to automatically try to get foo+latest_version, which may force cache regeneration. Imagine we have a database with two tables, one for accounts, and the other for storing friend relationship related between them. In this scenario, suppose account id 3 have these friend ids: 1,2,5,6,8. When asking database for friend, it will return array (1,2,5,6,8) we are going to put into cache, but what about if account id 2 is deleted, or have its id changed? Then, our cache is immediatelly invalid but the real data isn't (supposing we provided mechanisms for automatically updating foreign keys in DB!). I started to work on a class for memcache to address this problem (and possibly other issues) at the cost of having a bit of namespace data inside cache. My approach is to store all the keys a namespace contains as an array for allowing the system to delete all those keys when a namespace has expired. For example, in Scenario 2, when we add a new friend, we can bind it to owner account namespace as well as friend account namespace. This way, when something changes, we can expire one of those two namespaces and will delete related data from cache. Sessions are cached when user logs in via my DBCache class.